I’m talking about texting and distracted driving. Based on my daily commute observations, many drivers must believe that everyone else is the problem, when actually you – YES YOU – including the dude in the beat up White Toyota who nearly went into the ditch on Sunset Highway this morning while trying to text, is in fact—the problem! We’ve all seen the tell-tale signs of texting. Straddling or weaving between lanes and/or driving well below the speed limit or looking down at your lap as if that isn’t obvious. It’s unlikely that Mr. White Toyota knows that May, is designated as national Motorcycle Awareness Month, (Gov. Kitzhaber’s memo HERE). The initiative, supported by the National Highway Traffic Safety Administration, encourages drivers to watch for motorcycles and understand that motorcycle riders have the same rights and privileges as operators of other vehicles. But, not all motorists notice the warnings and clearly the White Toyota dude believes that his one little text is more important than say… driving safe and can’t hurt that much. It’s interesting to me that Expedia.com, released the results of the 2014 Road Rage Report, conducted on Expedia’s behalf by Northstar. Americans identify the behaviors that are likeliest to elicit road rage, from texting to swerving to speeding and beyond. Drum roll… and the winner is… People who text while driving incur the most anger. 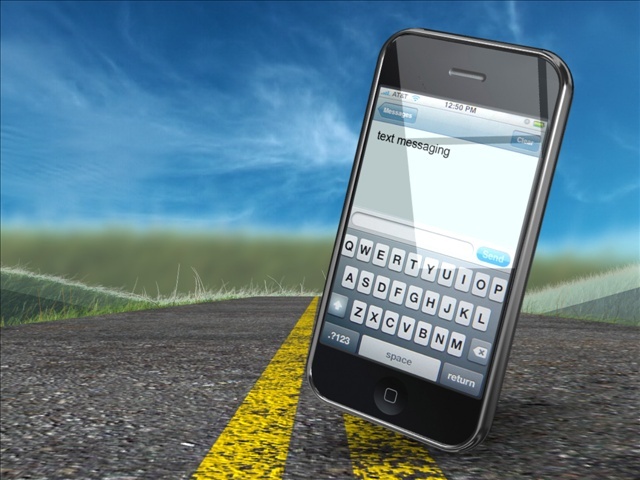 69% of Americans rate “The Texter” as the most aggravating driving behavior. We know the warmer temperatures rolling across the Northwest this month means the roads are filling up with motorcycle riders. So, take the “distracted” out of driving and avoid becoming one of “the 69%” who report having been “flipped off” by a fellow motorist! Photo courtesy of the WWW.